Principal photography on Eelyn Lee's latest film, Creature of the Estuary began this week along the South Essex stretch of the Thames Estuary. 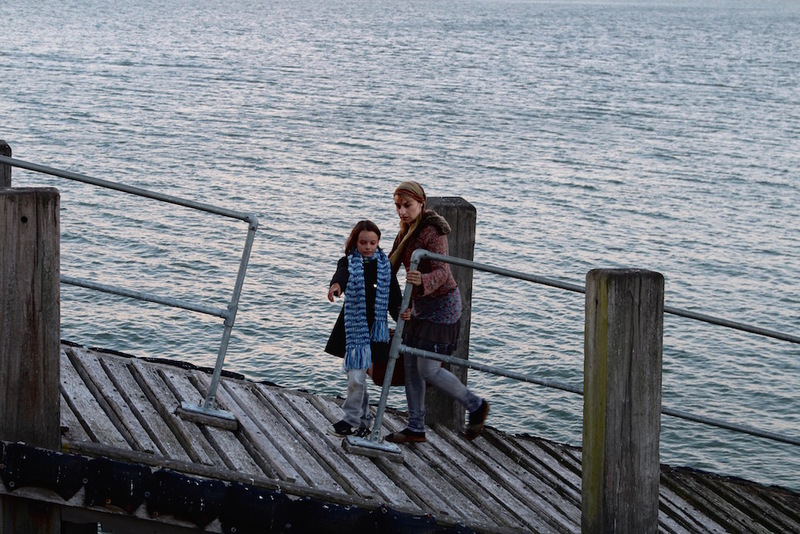 Eelyn welcomes back BAFTA-winning actor Anamaria Marinca [above right] as Rada, a migrant who arrives by small boat at the end of a pier with her 8-year old daughter Rita, played by local actor and new-comer, Tess [above left]. Cinematographer Dominik Rippl will be filming for five days this week and Eelyn welcomes a team of old and new collaborators. Follow the progress on the project blog. As part of the development process for her latest film, Creature of the Estuary, Eelyn is running a series of 'Fear Labs' with residents of Benfleet and Canvey Island. 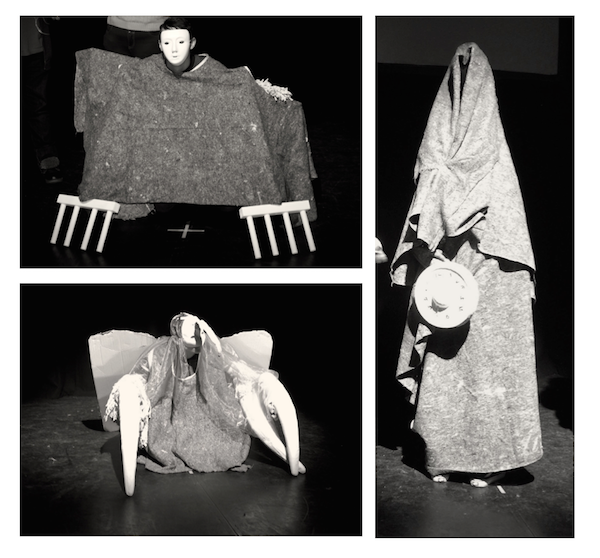 Working in collaboration with Art Director Christopher Kelly who has made a selection of props, Eelyn is exploring personal stories of fear with participants before encouraging them to turn them in to monsters. The first workshop was with a group of twelve art students from Seevic College [see results above] who are now helping Eelyn and Chris roll out the workshop to other groups including Cast and Crew, a drama workshop based on Canvey Island. The project is part of Eelyn's 3-year exploraration of notions of monsters and fear through improvised and collaborarive filmmaking. With funding from Arts Council England, Essex County Council and Metal Eelyn is making the new film for Estuary 2016, a festival celebrating the Thames Estuary. Follow the project blog for updates. Eelyn's first iteration of the Monster Trilogy, Monster [2015/16mins/digital] has been selected to screen at Future Now: The Aesthetica Art Prize Symposium in York on Thurs 26th May, 19.30 - 20.30. The venue is the laid-back and intimate 1331 Bar & Restuarant on 13, Grape Lane where the waiters serve you in the auditorium! Check out the screening programme here. This month Eelyn Lee will be spending three weeks at Metal, an artistic lab on the Thames Estuary. Metal have offered Eelyn a residency at their Chalkwell Hall base in Southend to continue her two-year exploration of collaborative filmmaking. Following last year's 5-day lab at the Barbican which was supported by Arts Council England, Eelyn will be further developing ideas around notions of fear and monsters by exploring local stories associated with the river. Eelyn will be talking to groups of people with connections to the estuary including the fishing community in Leigh-on-Sea; dock workers at Tilbury and residents on Canvey Island. The research will inform a further two moving image works and will culminate in the making of a long form film in 2017. The first iteration of the project, Monster made during the Barbican lab will premiere at the BAFTA Qualifying Aesthetica Short Film Festival [5th - 8th Nov 2015] in York. Taking inspiration from Shelley's Frankenstein, the film tells the story of monster created from other people's fear and features BAFTA / Palme d'Or winning actress Anamaria Marinca [4 Months, 3 Weeks, 2 Days]. Last week Eelyn Lee ran a 5-day project with young people [aged 11-19] at Spotlight, a youth centre in Poplar, East London. 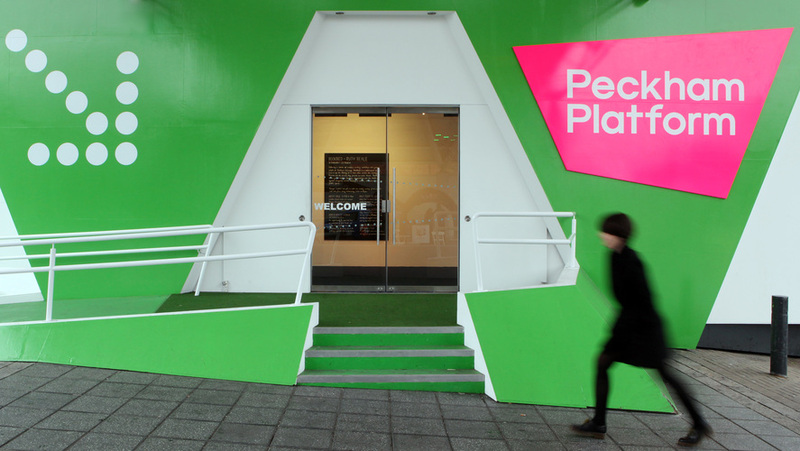 Commissioned by the Barbican with funds from Into Film, Eelyn conceived of an exciting new collaborative film project to explore the theme of transformation. What if one morning you awoke from troubled dreams to find yourself transformed right there in your bed in to your worst nightmare? ... Eelyn and a core team of 10 young people made three short stories of transformation, inspired by the opening lines of Kafka’s Metamorphosis. Long-term collaborator Winstan Whitter worked alongside Eelyn to facilitate the filmmaking, whereby young people took roles of actor, director, camera operator, gaffer and art director. 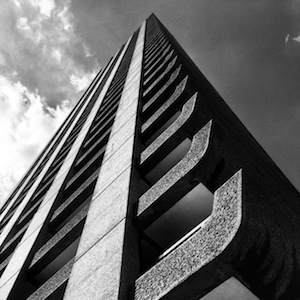 The final film will screen at a special event at the Barbican Cinema in October. 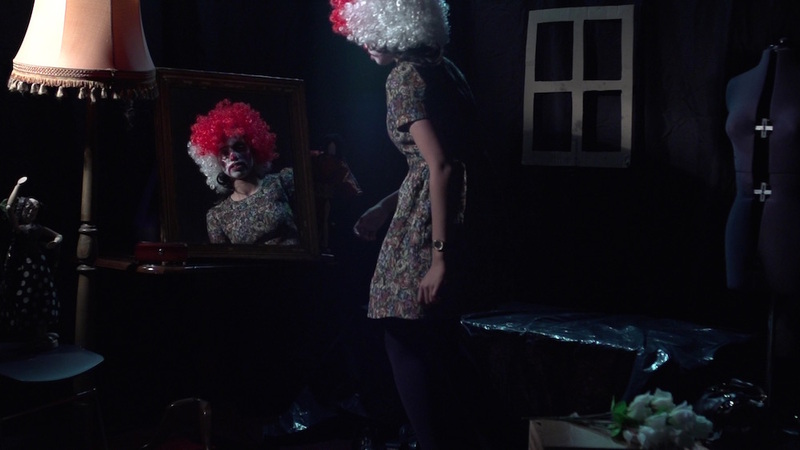 The project marks Eelyn's ongoing interest in exploring notions of monsters, transformation and fear through processes of improvisation and collaboration. Happy to announce that Arts Council England have funded Eelyn Lee to make the second stage of her Monster Trilogy. Following extensive research along the South Essex stretch of the Thames Estuary through residencies at Metal, Eelyn will spend the rest of the summer making a 20-25 minute film on locations on Canvey Island, Benfleet Creek, Southend Pier, Thorpe Bay, Leigh-on-Sea and Tilbury Docks. This latest work called Creature of the Estuary is also supported by Essex County Council and Metal. Eelyn Lee's latest film Monster will have it's London Premiere at Close-Up Film Centre in Shoreditch at 8pm on Sat 5th March. Inspired by Mary Shelley’s Frankenstein, Monster marks Eelyn's first iteration of her two-year investigation in to improvised filmmaking. Shot during a 5-day Lab at the Barbican with a group of 18 collaborating actors and artists including BAFTA/Palme d’Or winner Anamaria Marinca [4 Months, 3 Weeks, 2 Days], the project was supported by Arts Council England. 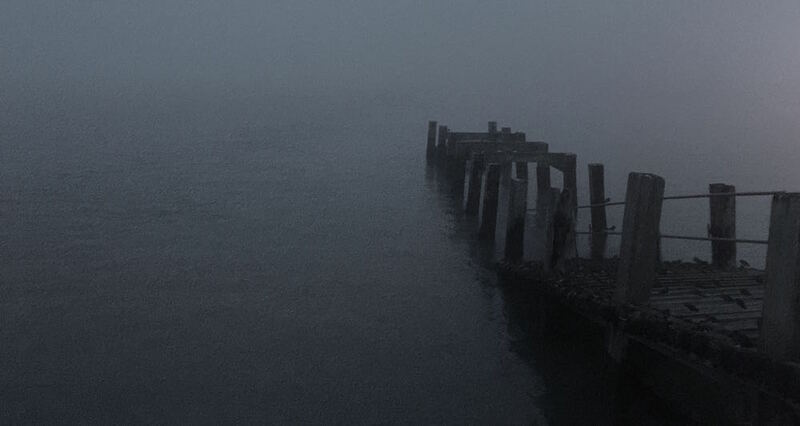 Eelyn is currently developing the work through a residency with Metal, an artistic lab on the Thames estuary where she is extending collaboration to local people, collecting stories of fear associated with the river. Monster is programmed alongside Bill Morrison’s Spark of Being as part of The Modern Prometheus weekend. After the screening Eelyn will be in conversation with Gareth Evans, Film Curator, Whitechapel. 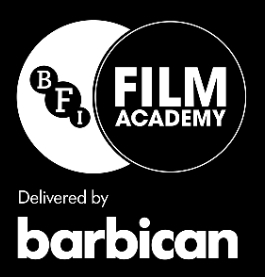 For the third year running Eelyn Lee will be delivering the BFI Film Academy at the Barbican. Eelyn has designed a creative approach to guiding 15-19 year old filmmakers through a collaborative process to make micro shorts inspired by seminal British films. To coincide with the 2016 commemorations marking 400 years since the death of William Shakespeare this year we will be making two short Shakespeare-inspired films. Watch one of last year's films inspired by Hitchcock's Rear Window here.